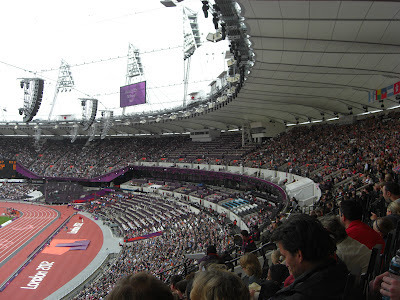 As it has not been used for football at any point, I won't be including the Olympic Stadium in my stadium count but I thought I would do a report for it anyway when I visited to see an athletics session of the 2012 Paralympic Games. 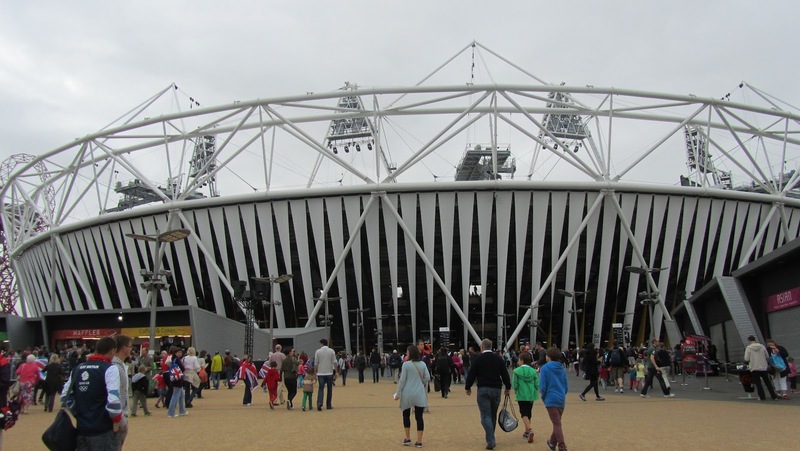 The London Olympic Stadium was opened in 2011 in readiness for the 2012 Olympic and Paralympic Games. The post-games future of the venue is yet be decided but whatever the format the running track will remain. 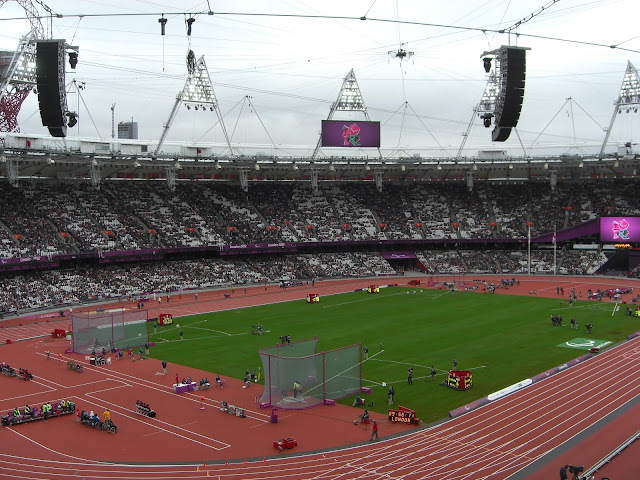 The stadium is half a mile from Stratford tube station which serves as the main transport link to the venue. The stadium is an oval-shaped bowl with two tiers. The lower tier seats 25,000 spectators with the larger upper tier having room for a further 55,000 spectators giving a total capacity of 80,000. The lower tier is a permanent structure as the original plan was for the venue to be converted into a 25,000 seater athletics stadium after the games. However, the stadium is designed in such a way as it is easily convertible so the upper tier now looks likely to remain in some format or other with a reduced capacity. The west side of the venue is home to a vast media and hospitality section with TV screens at the northern and southern end of the stadium as well as another four more attached to the lighting above the roof. The southern end also contains the Olympic cauldron for the duration of the 2012 games. Unusually the stadium speakers are extended by wires out from the main structure sending the sound back towards the audience. I saw a number of track and field events including the long jump, discus and shot put. There were also plenty of running races and this included the Men's 200m T42 final which saw Richard Whitehead take a famous victory as he stormed from the back of the pack to the front setting a new world record in the process. Depending on the tenancy bid decision I may return to this venue to see a football game one day but as an athletics stadium it impressed me and the atmosphere there was excellent.